Effective design, in any digital medium, requires an understanding of its inherent strengths and limitations and a strict focus on delivering enhanced functional utility through more intuitive interfaces specific to the medium. Designing for the mobile experience requires an alteration to conventional web design principles because there are concepts and functions that exist uniquely within the medium that are non-existent in a stationary web environment. To restrict the art of the possible and limit the capabilities of the medium to a replica of the stationary web is to reduce its differentiated elements and its potential positive impact to consumer/brand engagement. For mobile websites to be truly optimized for the medium, they cannot be designed statically. The stationary web is designed with presentation orientation and emphasis. The mobile web is entirely different, given its inherent action-orientation. By adhering to motionless design principles, retail brands have created unidirectional mobile experiences that have already become commoditized. Mobile is about being constantly connected – to friends, family, the social graph, the world – so to create branded mobile websites without consideration for how best to connect with consumers is a fundamentally flawed design approach. To deliver a differentiated experience, an intermediary layer that accentuates the unique capabilities of mobile must be created that provides a medium-specific interface between the mobile shopper and the branded mobile website. Success requires a new design – a platform-agnostic interface that superimposes actionable, service-oriented functions at the initial touchpoint of the mobile engagement in a manner unique to the medium – a Concierge Layer. 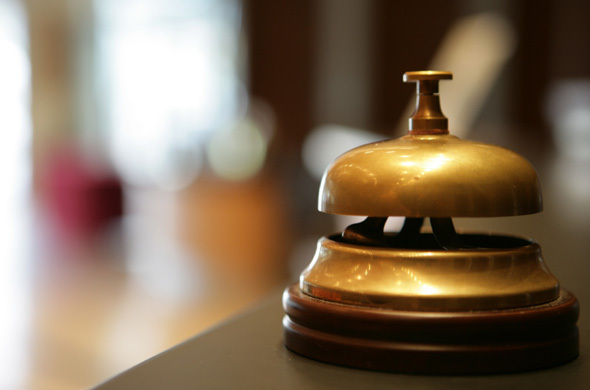 The Concierge Layer amplifies the inherent strengths of mobile that establishes it as a unique medium – location awareness, social connectivity, immediacy, and personalization – and leverages these differentiated elements to present the audience with a menu of actionable choices of how they would like to engage with the site. Existing mobile websites adhere to stationary web design principles, where shoppers are addressed by retailers in a “here I am, find what interests you” self-service paradigm. Intelligent mobile design takes a page directly from the hotel Concierge handbook, addressing mobile shoppers in a “how may I help you most enjoy your stay” model. The mobile medium is not a static, universal experience like the stationary web. It consists of numerous variables whose outcomes are determined in the moment. The Concierge Layer is fashioned from the fundamental variables that differentiate this uniquely connective communications medium and allows consumers to choose their most appropriate course of engaging with brands through devices, based on instance determinants. Location is a concept that has no equivalent in a stationary web environment, thus a transcoded mobile representation of a stationary website cannot conceive location. Mobile is not a stationary medium – it is action-oriented – so location recognition becomes a highly-differentiated element of the mobile medium. Intelligent mobile design determines location at the forefront of the mobile experience for the purposes of delivering relevant experiential choices ultimately determined by the consumer’s functional utility considerations that are based on “in the moment” requirements. The inherently limited time intervals of mobile engagements necessarily imply a requirement of relevancy and personalization – a sense of intuition that predicts desires based on behavioral trends. In current mobile design constructs, navigational functions of mobile sites must be clean and simple, with speed as the primary objective. Intelligent mobile design, however, requires personalized content to be proactively served to consumers at the outset, presenting efficiencies based on time-sensitivity. A curated selection of product based on a shopper profile, knowledge of location, preferences and past purchase history should be presented at the concierge layer to provide a more streamlined product selection process for consumers. The inherent connection between social and mobile is undeniable and shopping, by nature, is experiential and social. Intelligent mobile design is sharing focused – it utilizes the human nature to share as a mechanism to create instantaneous focus groups born from tightly-woven social graphs. Simply “Liking” brands or products or Tweeting questions about products to solicit feedback transforms into vibrant virtual communities constructed out of commonalities, sharing insights in real-time, and accessible on the go. Location-based check-ins through sociomobile networks can become an essential element in the Concierge Layer – initiating an in-moment threaded conversation within a virtual focus group to guide intelligent or passionate purchase decisions, irrespective of time and space. The mobile consumer is a moving target. Traditional design methods for stationary targets don’t apply. The stationary web is static and presentation-oriented, while the mobile web is action-oriented and constantly connected – each needs to be designed uniquely. The mobile medium is forcing designers to consider new constructs that accentuate its strengths and unique capabilities. A strict focus on the four pillars of mobile differentiation – location, immediacy, personalization, and social connectivity – will create the foundation for intelligent mobile design and transform the ways consumers engage with brands via these intensely personal, ever-connected devices.